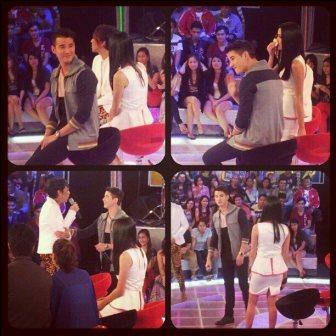 Mario Maurer Shows His Sense of Humor with Vice Ganda in 'GGV' This Sunday! Thai heartthrob superstar Mario Maurer shares his 'kwela' side with the unkabogable Vice Ganda in another exciting episode of "Gandang Gabi Vice" this Sunday! Mario is together with the "Suddenly It's Magic" co-stars Erich Gonzales, Kakai Bautista, and Joross Gamboa to promote their movie.